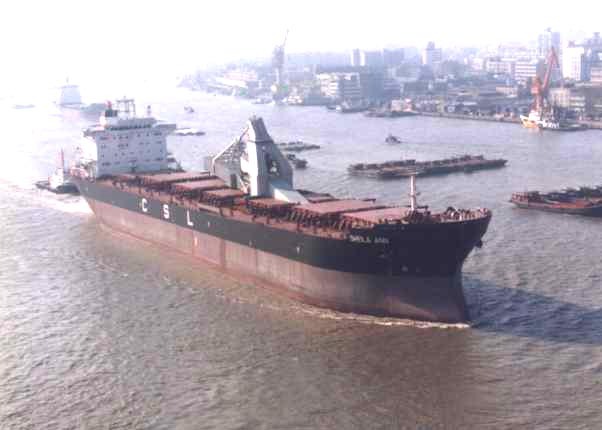 Seabulk Inc. supplied a complete, unique self-unloading system for three "panamax" ships built at Jiangnan Shipyard, Shanghai for Canada Steamship Lines and Egon Oldendorff. Seabulk was responsible for the design, procurement, construction, project management and site supervision of the self-unloading system. The New Generation Self-Unloaders are 70 800 DWT vessels with 7 separate cargo holds that have been designed for alternate loading. 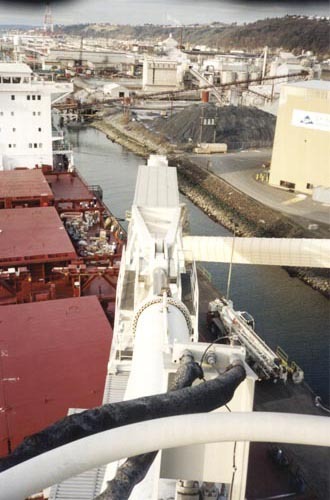 The holds are hoppered to direct the cargo to two tunnel conveyors that run parallel to to the centreline of the ship towards the forward end. Under the hoppered holds the cargo is discharged through an innovative patented Seabulk solution called the Controlled Flow Gate (CFG). The CFG is a gate that has multiple openings and runs approximately the hold length which prevents the need for intermediate hogbacks. The material flows through the CFG on to one of the two tunnel belts. 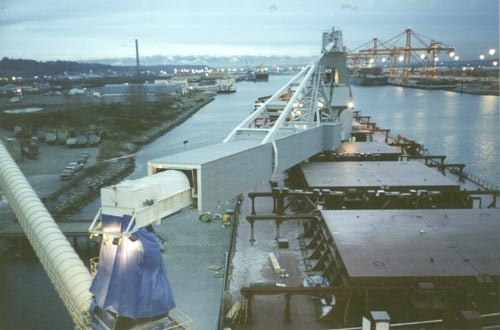 The tunnel belts transfer material on to two transfer conveyors at the forward end of the ship and run perpendicular to the centreline of the ship. The two transfer conveyors then load an incline conveyor. The incline conveyor is a conventional belt that raises the material from the bottom of the holds to load the boom conveyor. The boom is a mid-ship mounted and rear facing. The slewing of the boom is accomplished by the largest actuator ever built for a ship. The slewing range is 270 degrees. The luffing range is -5 degrees to +18 degrees. The boom is equipped with a shuttle with 19 metres travel to aid in reaching shore side hoppers or to unload rock and aggregate in precise locations with the aide of a GPS receiver. 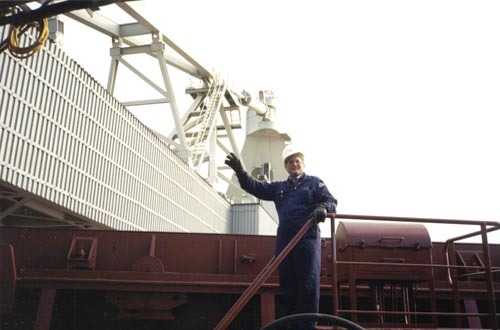 Seabulk has won an award of Engineering Excellence from the Canadian Consulting Engineer for the New Generation Self-Unloader and high praise from the ships' owner.